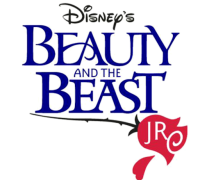 The Arroyo Vista Children's Theater will have six performances of Beauty and the Beast Jr. to be held at Arroyo Vista Elementary School on the days and times specified here. We hope you will come and enjoy the magical performance. Information for purchasing tickets will be available at a later time. After months of hard work the Arroyo Vista Children's Theater cast and crew are excited to present the magical story of Beauty and the Beast Jr. for you. The length of the show is between 1.5 - 2 hours long. This is a matinee show. The performance will be held in the Arroyo Vista Elementary School Multi Purpose Room. After months of hard work the Arroyo Vista Children's Theater cast and crew are excited to present the magical story of Beauty and the Beast. for you. The length of the show is between 1.5 - 2 hours long. The performance will be held in the Arroyo Vista Elementary School Multi Purpose Room. After months of hard work the Arroyo Vista Children's Theater cast and crew are excited to present the magical story of Beauty and the Beast Jr. for you. The length of the show is between 1.5 - 2 hours long. The performance will be held in the Arroyo Vista Elementary School Multi Purpose Room.